The factory has been pumping out some sweet little boards lately! With all the sand sitting on the points down here after the pumping for the quicky pro, we have seen nothing but knee deep churning barrels whether its been 1 foot or 4, low tide or high! So if you like a board that paddles like your standard shorty but fits into the little churners and lets you get away with a turn where a longer board would be bogging, these little rockets are for you! they are From 1 o’clock to 3:00 we have a 5’7, 5’8 and 5’9 Racing Mullets with nice round tails to sit in the pocket and go rail to rail. From 4 o’clock to 8:00 we have a 5’6, 5’7 and 5’10 Wave dominator with squash tails and a little more pulled in outline. From 9 o’clock to 12:00 are the 5’6, 5’10 and 6’2 Broad Beans that have volume galore and rounded chop nose. 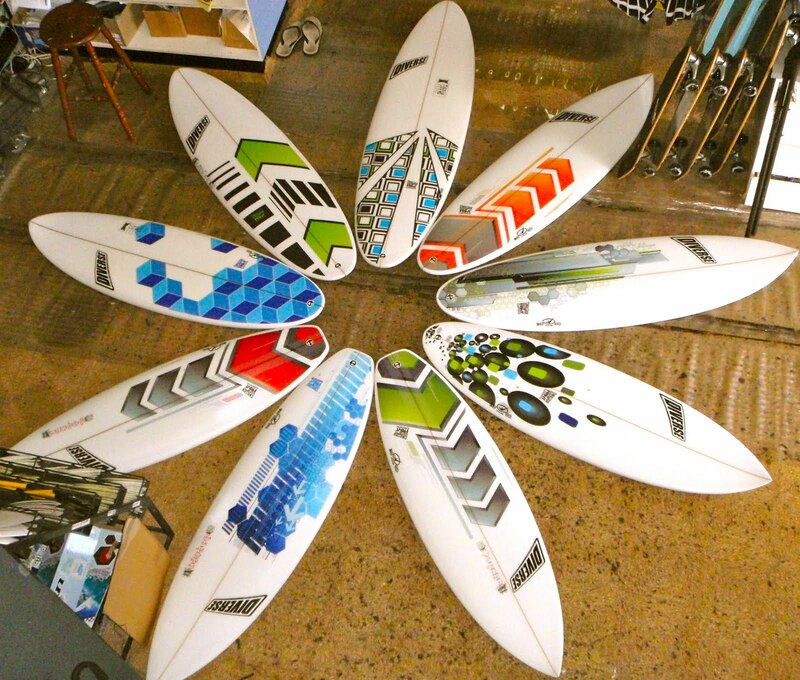 The volume in these boards range from 26.2 liters to 36.2 liters so anyone from 55kg to 90kg could get on one of these machines and tuck into the next perfect cylinder to roll down from snapper to kirra or put one above the lip or punt your local beachie. So get in quick before they are all gone and put to rest nicely tucked into barrel. People check these ones out! All these beauties are 100 bucks off at the moment!